Is there anyone who is currently attending the Touro program who could give me some feedback as far as their opinion goes on the program? Feel free to direct message me. I would love to know the strengths and weaknesses of the program, as well as your thoughts on receiving a dual masters. I'd love to hear from anyone interested in sharing! I am a current 1st year student at Touro University CA and would be more than happy to provide some insight if you have specific questions. The dual masters program is what attracted many of us to Touro CA, because of our passion for the field of public health. The classes for MPH definitely make the course load a lot heavier than it already is. However, I think it would really help us stand out as PAs with an MPH background. I interviewed at Touro a few weeks ago and was recently accepted. 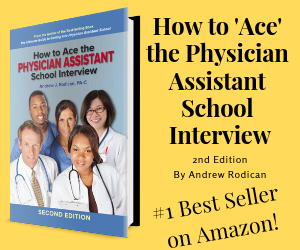 As you are aware of the stressful nature of the interview process, most of the day I spent focused on the interview process and the rest is a bit of a blur, so I am hoping you'll be able to help me get a better sense of your experience as a Touro PA student! I was initially drawn to Touro CA for the dual PA/MPH degree, but the sense I got from a current student is that there really isn't a huge difference for employers when they hire PAs. Do you know other grads from Touro that feel that their dual degrees were really beneficial? Specifically with working overseas or internationally? In addition to that, how do you like the way the curriculum is organized? Do you feel you are able to devote enough time to your PA studies? For the PA side specifically, is it a systems based model? As for clinical rotation sites, where are they located? Do you anticipate needing to travel and find temporary accommodation? And finally, how do you feel about the facilities and resources available at Touro? To be honest, I was a bit unimpressed by the size of the library especially with the number of students enrolled at Touro. feel free to message me directly. thanks for reading! Bump this thread? I second sakoselig's questions. Any takers? I recently got accepted and am making my final decision between this and another program soon. I too would love to hear from a current or past student with regards to sakoselig's questions. I'm very interested in Touro California's dual program, but there's not a lot on their website. Thanks! "Do you know other grads from Touro that feel that their dual degrees were really beneficial? Specifically with working overseas or internationally? And finally, how do you feel about the facilities and resources available at Touro? To be honest, I was a bit unimpressed by the size of the library especially with the number of students enrolled at Touro." I would also like to hear from current students. Can someone please respond, it would much appreciated, thank you! Does anybody know the format for the interview ? Does anyone have an idea of what to expect on the interview ? Can a current student provide any feedback as to what it is like to live in the area or recommend places to live? Living in Vallejo is just great for studying because you won’t have any distractions. You’ll have to drive to where the fun is: Napa, Oakland, SF. Vallejo has a few charms here and there, such as a farmer’s market on Saturdays, the ferry terminal going to SF if you don’t want drive, a movie theater, hikes, and more. What Vallejo doesn’t have when compared to a bigger city are options. You’ll have to drive to other cities for more options. Personally, I enjoy where I live in Vallejo (next to an elementary school, ~4 mi from school) and I have had zero issues thus far. I think having a home security system set up is a big thing for peace of mind and I haven’t had any issues. Recommended places to live: the nice parts of Vallejo, Mare Island, Benicia, American Canyon. I actually google mapped the address I would potentially live to see the condition of the neighborhood and go from there. I have classmates who commute from Berkeley and Oakland. I have classmates who love living on the island for the 3 minute drive to class. I can’t justify the extra $100+ for living 3-5 miles closer to school which will just add more to your student debt. When did you hear back for an interview 3 years ago? This is a little off topic, but I would like to get your take on this.. I just applied this past cycle and had a handful of interviews. I was waitlisted as a low alternate here at TUC. I'm still hopeful, but worried that I may need to reapply so I'm trying to start enrolling in more courses to continue bettering my application. My question is, I competed all of my pre-reqs minus abnormal psych and Spanish at a 4-year university. I may not be able to get into any of the courses I want to retake at the university, but can get in at the community college in my home town. Do you feel the admissions committees would frown upon me retaking courses at a community college rather than a 4/year university? Or not hold my courses I retook at a JC as high if I would've retaken them at the university?